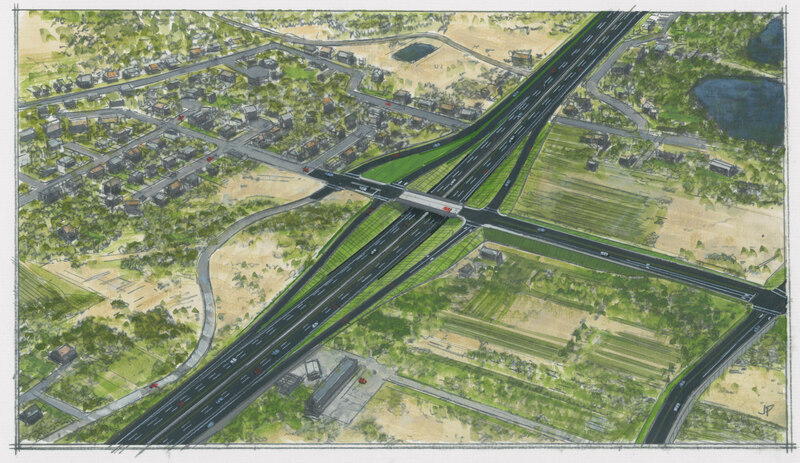 Since the State Environmental Study (SES) was released in March 2018, UDOT has hired a Designer-Contractor team, Oak Hills Constructors, to help with the design effort. 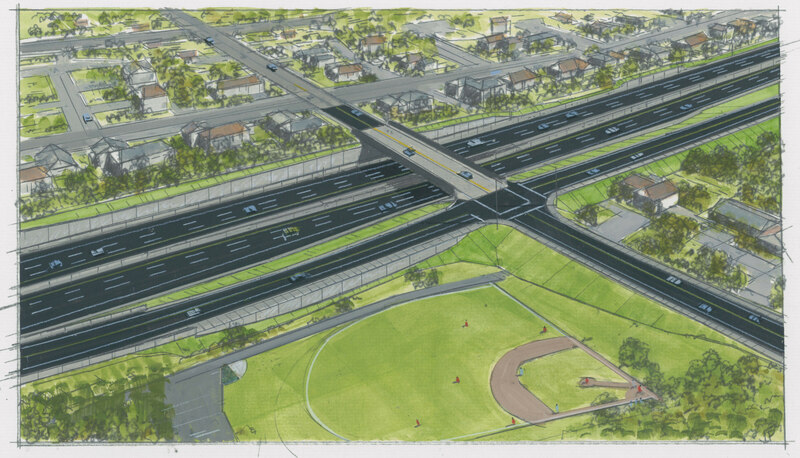 Together, UDOT and Oak Hills Constructors have been reviewing and refining designs at interchanges, cross-streets, frontage roads, and other areas to look for ways to optimize the SES concept design and further reduce impacts and costs where feasible. 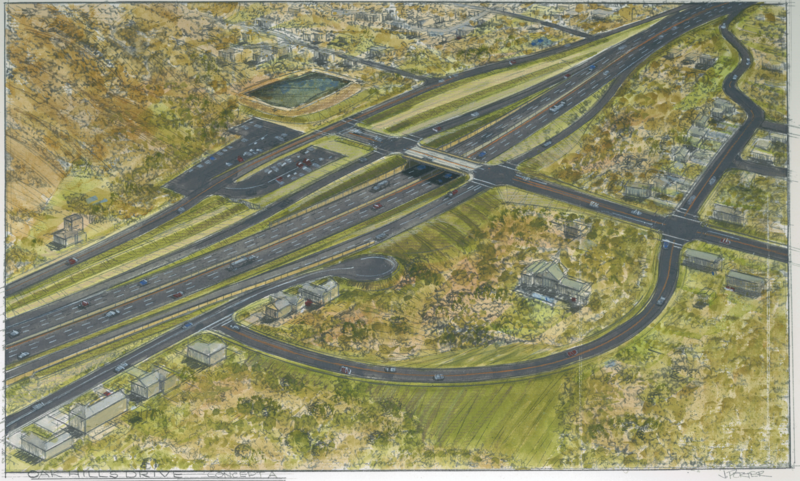 More in-depth investigation has also taken place to locate utilities; adjust elevations, curves, and widths; and determine optimal designs for interchanges and other features. This process, known as Progressive Design-Build , allows for public input, contractor expertise and cost to be assessed and incorporated into the project design earlier than other delivery methods. This will help the project team design and build the right project for the area. Design will continue through 2019. 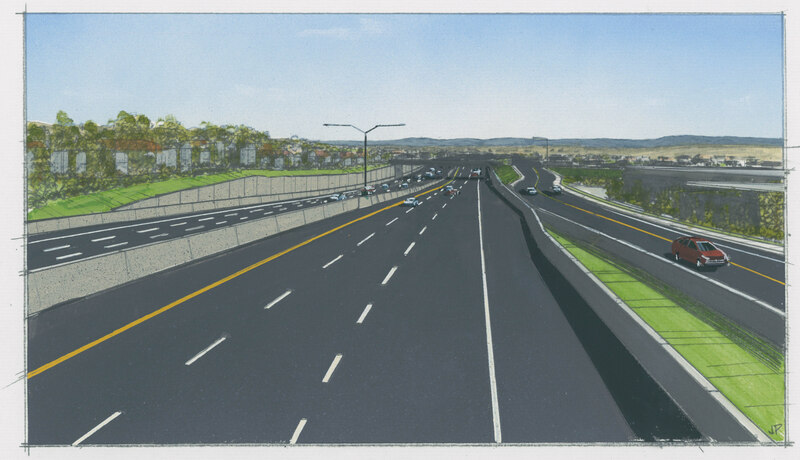 Artist renderings of segment designs will be posted below as they become available. 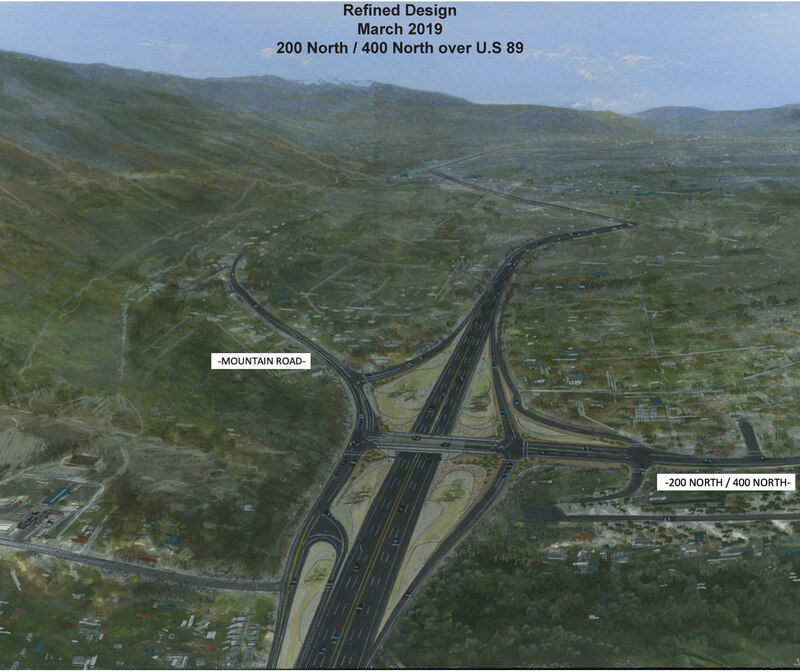 These renderings are intended to provide some information to the public while design refinements continue. These are not the final “for construction” designs. Updates to the renderings will be posted as the design process moves forward.